We are witnessing a mindfulness revolution. 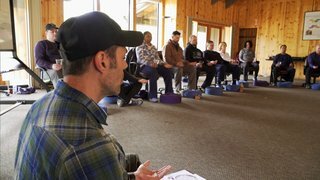 Mindfulness meditation has gone beyond mainstream into the most unlikely places — from British Parliament to the Marine Corps to Fortune 100 boardrooms — fueled by scientific evidence that confirms its benefits and positive impact on health and well-being. No longer limited to Eastern philosophers or California hippies, mindfulness is now embraced by millions of ordinary people trying to survive in a totally stressed out world. 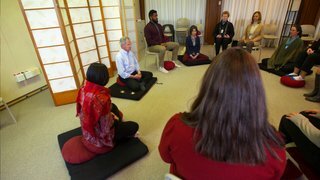 Exploring this revolution and the power of meditation to transform lives, MINDFULNESS GOES MAINSTREAM is part of special programming premiering on Rhode Island PBS on August 9, 2017 at 8 p.m.
Over 1,500 studies have now been published citing how meditation lowers stress, improves heart and lung functionality and dramatically enhances focus and performance. Steve Jobs credited his daily meditation practice with the ability to clear his mind in order to access intuitions that led to the creation of Apple products. Tina Turner attributes meditation as the key to turning her life around. And when the coach and most of the players on the Seattle Seahawks are meditating regularly, we have crossed a tipping point. And the best news of all is that we don’t need to sit on the sidelines and view mindfulness meditation as a spectator sport. Anyone can do it with remarkable results. In the midst of the busyness and chaos of our lives, bombarded by 24/7 news, we long to find a way to remain calm, balanced, centered and effective. Meditation, one of the oldest methods for cultivating inner calm and stability, has now been proven by modern science to have a positive impact on our health and quality of life. 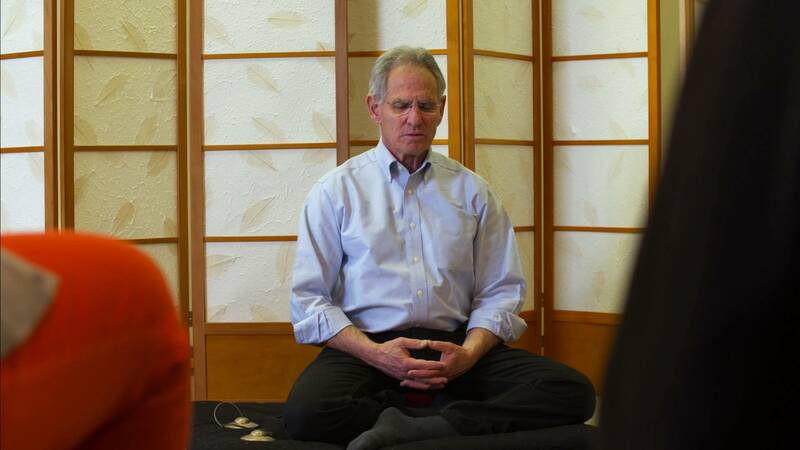 MINDFULNESS GOES MAINSTREAM explores mindfulness through the voices of some of the very best teachers, business leaders and experts in the field, focusing on areas where mindfulness has proven to have significant benefits, including stress, anxiety and depression; pain, cravings and mindful eating; focus and performance, and compassion and empathy.